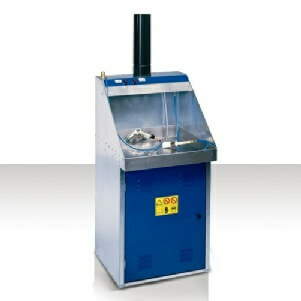 Parts washers for general industry, garages and screen printing industry. Solvent and water based parts washers that give great results. Our versatile washers can be used with different cleaning agents to suit the cleaning application. 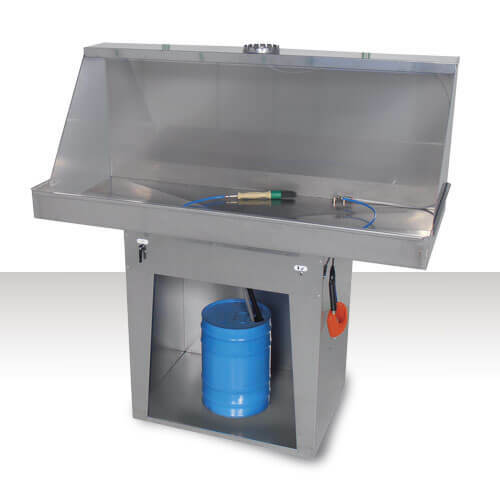 The Solutex range of high quality solvent and aqueous industrial parts washers have been designed to provide a complete cleaning station that is operator friendly. Choose from manual, automatic or high pressure washers that use either solvents or water based detergents. Our water washers are available with inbuilt heaters to provide warm water washing for better cleaning results. Washer tanks are constructed of stainless steel for longer life. Solvent washers are ATEX certified and have integrated air extraction to remove vapours. If you need a high quality industrial parts washer, choose a Solutex washer. ATEX approved for use in potentially flammable areas. Purchase and finance options available. Contact us for details. Designed specifically for use with a wide range of solvents and are ATEX certified for use in flammable zones such as car body shops. Unlike many washers on the market our Washers come with inbuilt air extraction systems help protect the operator when in use. Solutex solvents washers can also be used with water based detergents to provide truly versatile equipment. 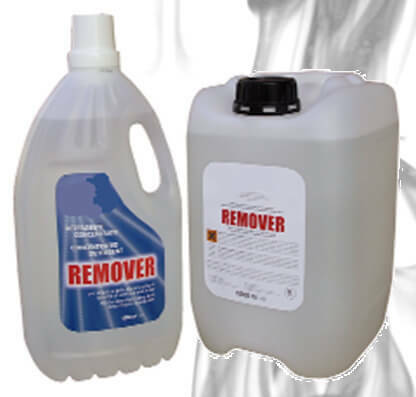 Designed specifically for use with water based cleaning agents but some can be used with solvent cleaners such as odourless kerosene. Cold water cleaning units for use with detergents or odourless kerosene cleaners. Hot water cleaning units for use with detergents that work best at around 40°C. 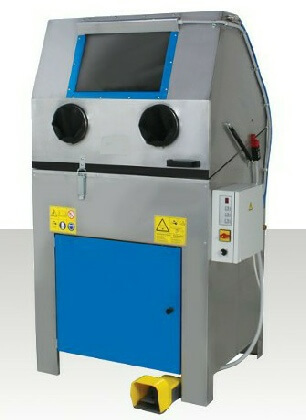 High pressure hot water cleaning unit for use with detergents. Manual washers for use with solvent, thinners or water based detergents. 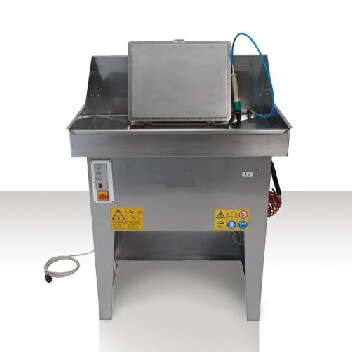 Automatic washers for use with solvents, thinners or water based detergents. Large manual washer for use with water based detergents or odourless kerosene. Heated manual washers for use with water and detergents. Economic Manual washers for use with water based detergents. Choose from electric or air powered models. High pressure heated washers for use with water based detergents. 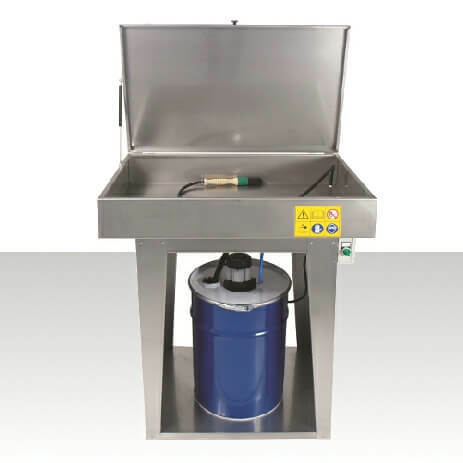 Automatic Can and drum washer for use with solvent or water based detergents. 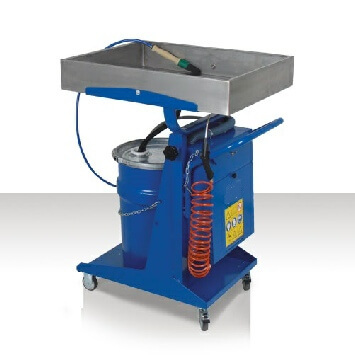 Manual mobile truck brake and parts washer with wheeled detachable tray for use with water based detergents or solvent cleaner. 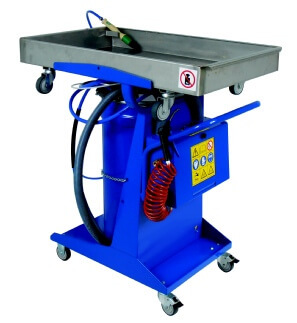 Manual mobile washer with telescopic tray. Ideal for cleaning vehicle brakes. Uses water based detergent or solvent cleaner. Solvent and detergent cleaners for use with our parts washers. 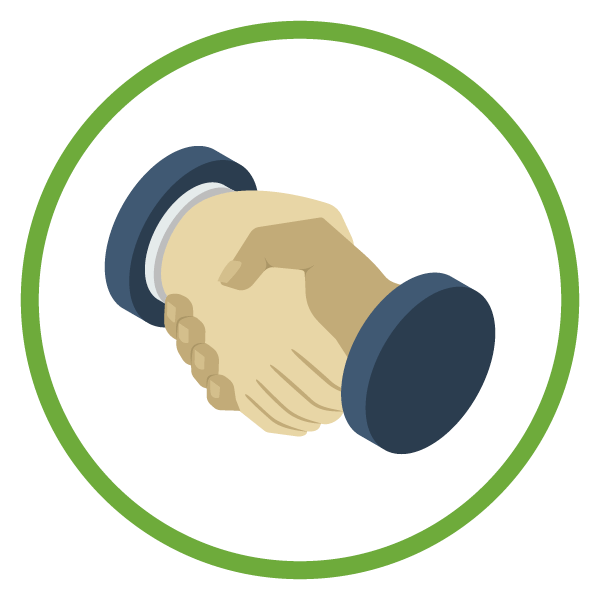 Please contact us to discuss related systems and options.